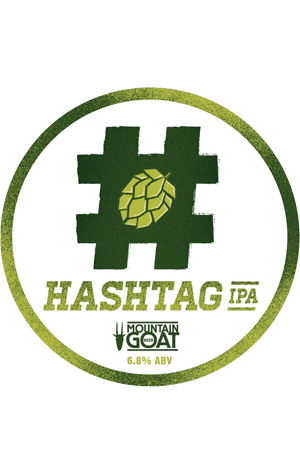 Proving there is apparently no limit to the number of different ways in which they can create an IPA, the brewers at Mountain Goat have come up with something new. They joined forces with hop supplier Hopco to get their hands on a new form of hops from the States. Known as hop hash as it's created by a similar method to the other hash (no, not the one you might occasionally have for breakfast. Well, some of you might do, but, um, the one that gets you high). Once hop flowers have been pelletised, the producers scrape all the hoppy goodness that's left in the machine together into a tight nugget. It provides brewers with what's been termed "hop crack", delivering the essential oils and alpha acids they want to get their hands on in greater intensity. Goat's head brewer Ian Morgan tells us 4 Pines has put out a small batch of beer using it, but this remains one of the very first in Australia. The chosen hash varieties were the much (and understandably) hyped Idaho 7 and Belma. They've been added to a rusty coloured IPA base in the whirlpool and created quite the juicy, fruity beast. In some ways, it's not a million miles from recent Rare Breed Pulped Fiction, despite the different ingredients and techniques. First waft is akin to cracking open the skin on a well ripened navel orange and we found complementary strawberry flavours joining the party too. A couple of specialty malts add further sweetness to the juicy mix, while, despite some resinous qualities, there's less in the way of bitterness – more a big mouthful of hop flavour. All proceeds from the keg poured at Mountain Goat's brewery bar on Feb 17 will go to the Yarra Riverkeepers Association. And, if you're a Crafty Cabal member, you can get your first pot free. And, indeed, a pot of every future new release at the Goat bar free too!